New hamsa Design! 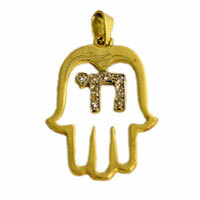 14K Gold Hamsa with a "chay"
centerpiece. The chai is set with Diamonds. Height: 28mm / 1.1'' inches. width: 18mm / 0.7'' inches. 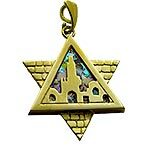 14k Pendant only - $339.